The painful Knee Joints or Osteoarthritis (OA) is a common health disorder for many people worldwide. Usually it is an inflammatory disease with bone damaged or loss of cartilage. Symptoms may include tenderness, intolerable pain in joints, stiffness, locking, and sometimes an effusion. The joints pain due to many causes but sometimes it may be related to another area from body such as it can come from ankle, foot, hip joints or lumbar spine. And even it may occur due to loss of cartilage or bone surfaces become less well protected by cartilage, bone may be exposed and damaged. 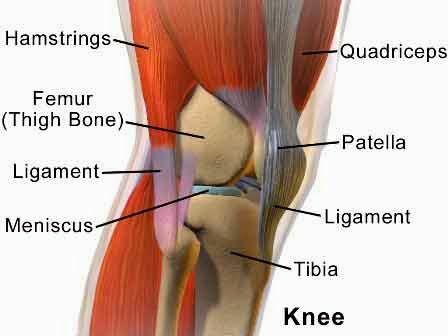 Knee pain or joint pain can be caused by a sudden injury, an underlying condition such as arthritis. Symptoms of knee injury can include pain, swelling, inflammation and stiffness. Many people come up to the age of 40 or 50 has to facing this problem. And they can’t able to cure it. So in this article, we are discussing about some home remedies that effective to get relief from joints pain. The wood of the Pterocarpus Marsupium (Vijaysar) is very effective in the pain of the legs (knees) or Arthralgia. It is proved to get relief in knee pain and it is also useful in neck or back pain. To prepare the remedy, wood of vijaysar (Marsupium) has to have right or original. The wood of vijaysar (Marsupium) should be some rouge, or red color. Remember, the white wood doesn't work. Take six grams of marsupium (vijaysar) wood and soak them into a glass with 250 ml of water at night before sleeping. Next morning, filter this water and drink it. After that throw the piece of wood and take a new piece of marsupium wood, and also repeat this procedure at evening as soak into water and next day drink it. Note: In winter, the wood must be boiled as tea. Turmeric and ginger are the best anti-inflammatory herbs; that will help to recover with joints pain and rheumatoid arthritis. You can prepare a tea with both the ingredients to get instant relief from pain. Take 1 glass of water and bring to a boil; and then put half teaspoon of each ginger strips and turmeric strips into this. Boil it on a slow temperature for 10-15 minutes. Thereafter filtering and drink it when it becomes lukewarm with adding a teaspoon of honey to taste. Follow this remedy twice in a day to cure from joints pain and inflammation. Magnesium is very important ingredients for our body; it works to relaxes all body muscles and relieving from stiffness and pain. You can eat more magnesium diet, fruits and green leafy vegetables to get the magnesium supplements. Also you can use magnesium tablets to compensate for the lack of magnesium in the body. Massage is the effective move to get relief from joints pain. Take a herbal oil to massage such as mustard oil. Massage works to relieving and relaxing body muscles from pain and swelling. Take 2 teaspoon of mustard oil and put 2-3 cloves; then bring to a boil for 30 seconds on slow temperature. Massaging with this oil after it becomes cold or lukewarm. Exercise is quite difficult in joints pain but if you try to do exercise on a regular basis then your pain is disappear from 2 to 3 days during exercise. Exercise is the best natural ways to treat from joints pain without remedy or treatment. Also you can walk for 30 minutes on daily morning to get relief from joints pain and arthritis pain. Note: Use topical ointment to get quick relief from joints and RA pain. And finally I wish that you will become healthy again and enjoying life with these natural remedies and treatments.